Discovering what will make your life balanced is easy. You have to take the time to figure out what is important to you and then you have to begin implementing changes to make this a reality. This won’t happen unless you begin to change your daily habits. Habits that have been ingrained in you for months, years, maybe even decades. These habits are a part of who you are. They’re what you do, day in and day out. They’ve been with you for a long time. Getting rid of them isn’t easy. But you can get rid of the bad habits, the bad behaviors, and create a more balanced life. What behaviors would make for a more balanced life? I’m glad you asked. 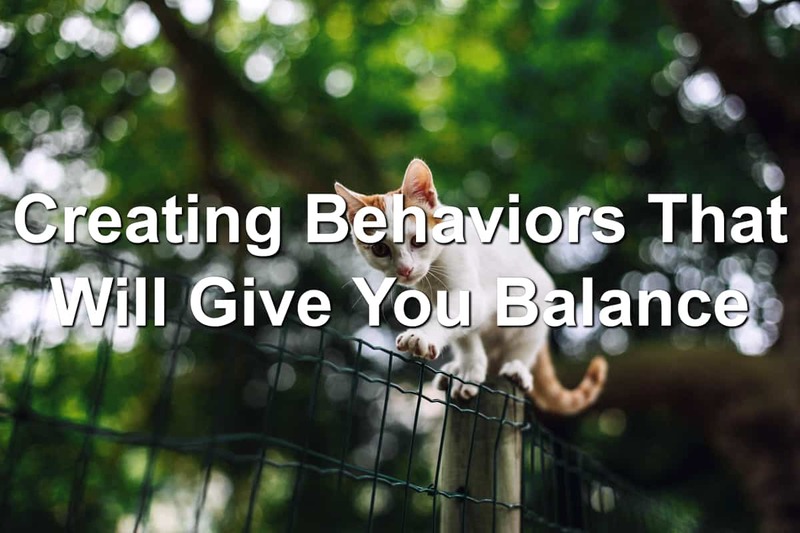 We’re going to look at the behaviors you can adopt to bring balance into your life. Whether at your job or with your friends, saying no can be hard. You don’t want to let down those you care about. Worse, you don’t want to let down your boss. You know, the person who signs your paycheck. Saying no to these people can hurt. Your friends may think you’re abandoning them. Your boss may believe you don’t take your job seriously anymore. You know both of these are not true. You care about your friends and you care about your job. However, saying yes to everyone else means you’re saying no to what is important to you. You have to decide what is important and how you can communicate this to your employer and your friends. Burnout is real. Especially for those in leadership. Carey Nieuwhof shares about his experience with burnout on his website. I’ve shared my experience with burnout as well. We continue to push ourselves to do more and do better. Eventually, something breaks. It’s not the job, charity, or friends you’re serving. What breaks is you. And this is because we’re not willing to take a break ourselves. We feel like we always have to be on. The truth is, you don’t have to be on all of the time. You can and must take periods of rest… A sabbath time. Rest restores and rejuvenates you. Rest allows you to get your bearings and discover where you need to go next. Find a way to incorporate the balanced behavior of rest into your life. In a recent Reel Leadership article, I shared how Jack Black’s character Uncle Jonathan in the movie The House With A Clock In Its Walls shared with his nephew an important truth. Uncle Jonathan loved to have fun. Yet he also had a serious side. This side told his nephew he was not to open up the locked cabinet. If he did, something extremely bad would happen. The character was balanced in his fun and serious sides. He knew he had to be serious. He also knew he could have fun. You, yes you, need to learn how to balance your serious side with your fun side. 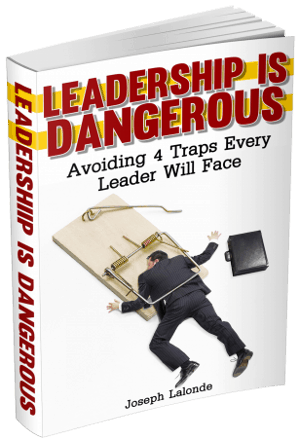 You don’t have to be a fuddy-duddy just because you’re a leader. There’s more than that side of you. You can, and need to, have fun. Question: What are some other behaviors you’ve developed to balance your life? Let us know in the comment section below. When’s The Last Time You Rested?